Kalmar, part of Cargotec, is to continue its long-standing relationship with Eurofos, France's largest terminal, with delivery of twelve new electric straddle carriers. The order was booked in Cargotec's 2014 third quarter order intake, with deliveries scheduled for February 2015. Situated in the Port of Fos, close to Marseille, Eurofos is investing heavily in future growth. The new electric straddle carriers were chosen for their excellent reliability, high quality and low environmental impact, and will expand and partly replace the terminal's existing fleet of Kalmar and Sisu equipment. 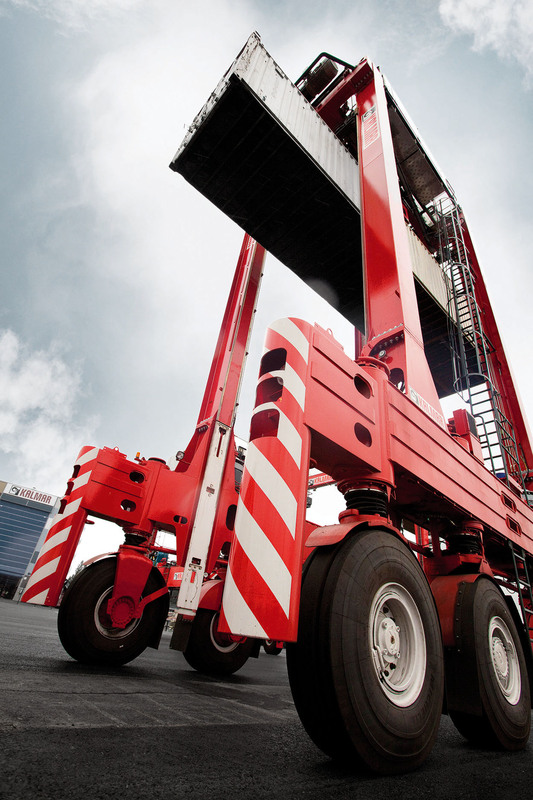 The low-maintenance Kalmar straddle carriers are capable of stacking 40-ton containers three high and comply with the latest exhaust emission regulations. In addition, they feature spacious new ergonomic cabin and intuitive user interface. "Kalmar is one of the key players in the industry and has a strong reputation for sustainable and efficient performance, as well as excellent operational safety," says Eurofos CEO Nicolas Gauthier. "The new electric straddle carriers will help us cut fuel and maintenance costs, and provide our employees with an even safer and more comfortable working environment. Expanding and renewing our fleet with the best solutions available is an important part of our plans for future growth and will ensure we can continue to provide our customers with good productivity and high service quality." The order also includes Kalmar's SmartFleet process automation solution, which improves port operational transparency and reduces downtime through real-time analysis of on-board performance data, predictive maintenance capability and remote maintenance analysis. In the future, there is the possibility for SmartFleet to be retrofitted to the port's existing fleet of straddle carriers as well.